Hello, and happy Sunday! 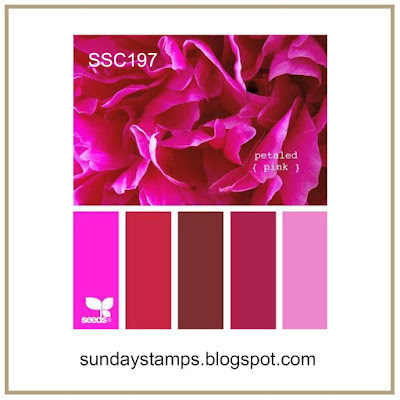 Today, starts another new challenge at Sunday Stamps! 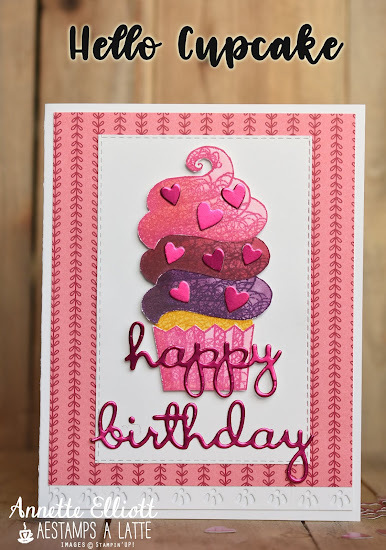 and here's what I made using the Sale-a-bration stamp set called Hello Cupcake. Isn't this a sweet looking cupcake? 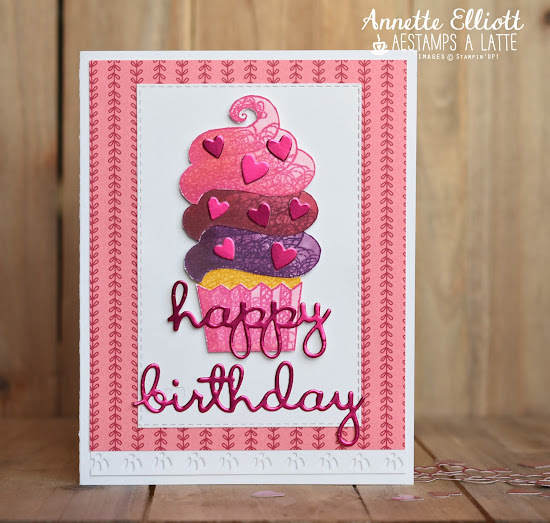 lol The Lovely Lipstick Foil sheets make perfect candy hearts for my layered cupcake to match the happy birthday sentiment from the Well Written Framelits. Of course I had to use the Rectangle Stitched Framelits- cause they are so cool, and I also used the decorative edge framelit from the Be Mine Dies along the bottom of my card front. To play along with us, submit your creation by Friday, February 8, 2019, using a minimum of 3 different colors from the above photo. I chose: Melon Mambo, Cherry Cobbler, Blackberry Bliss and Lovely Lipstick.